You are here: Go to home Breadcrumb Separator Leisure Centres Breadcrumb Separator Bath and North East Somerset Breadcrumb Separator Entry Hill Golf Course Breadcrumb Separator News Breadcrumb Separator Congratulations Teresa! Congratulations to Teresa Potter, the lucky winner of our member referral competition! 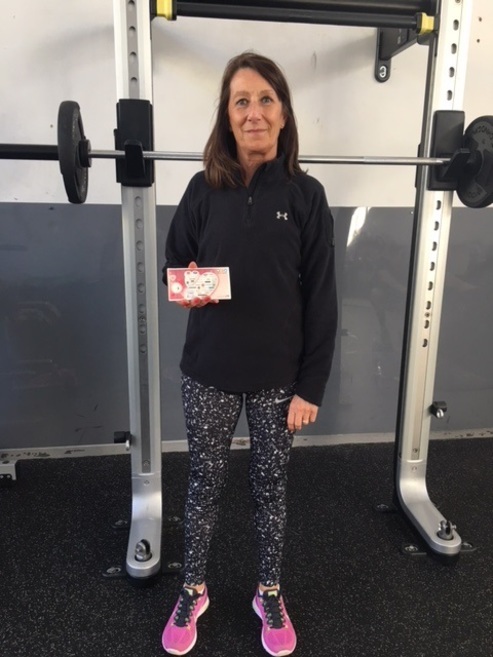 Teresa, a long term member at Culverhay Leisure Centre, was entered into the prize draw for referring her friend to the centre. She has won herself a £300 Love2Shop voucher. Keep your eyes peeled for future referral competitions! Well done Teresa!